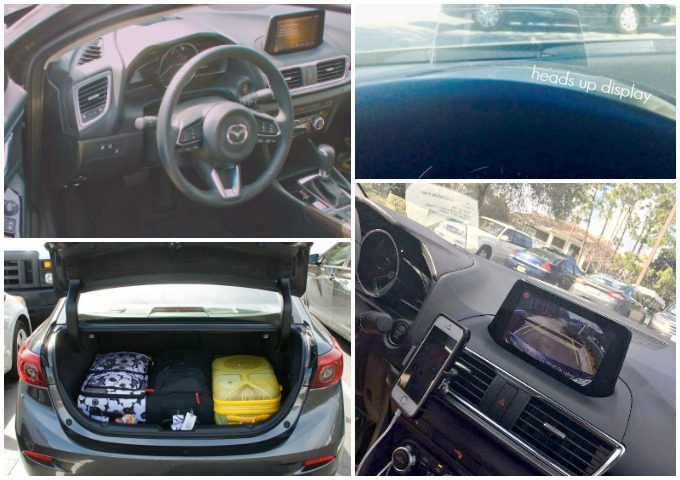 You are here: Home / Atypical Dad / The 2017 Mazda3 is Fun To Drive & Has Some Cool New Features! The 2017 Mazda3 is Fun To Drive & Has Some Cool New Features! 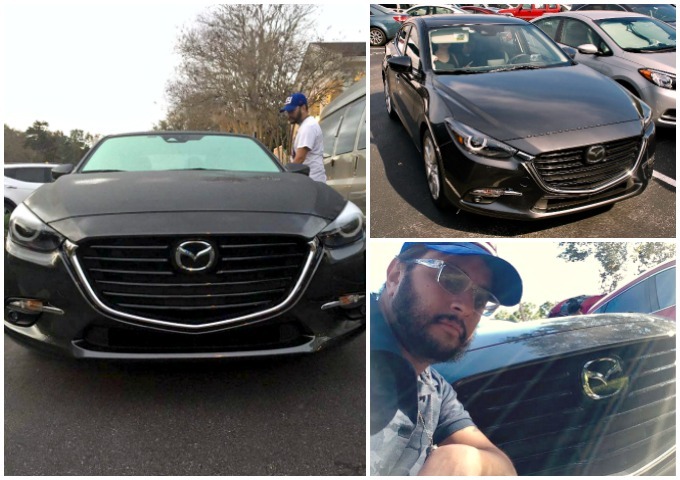 Disclosure: We were provided with a 2017 Mazda3 i Grand Touring for review. As always, all opinions are our own. The 2017 Mazda3 has taken everything that made the 2015 model great with some new features that put the 2017 Mazda 3 in the Must Have car category. Remember, the Mazda3 is the car that made my non-driver wife, Lisa, want to learn how to drive. The Mazda team has once again, fashioned a sleek and sophisticated vehicle. As a car and design buff the importance of smooth lines on a car that creates the feeling of motion can be quite pleasing. It seems to be a common trait in the Mazda design team’s product line. And it especially holds true with the Mazda 3. Its aggressive grill gives the driver the feel that when you sit behind the steering wheel, you are about to take off and have some fun. The SKYACTIV® DRIVE 6-speed automatic transmission in the 2017 Mazda 3 Grand Touring was both smooth and responsive. Using the paddle shifters makes the driving experience more responsive from gear to gear. Switch on the Sport Mode and you immediately feel an increase in torque that can give you that white knuckle feeling sport compact car drivers know and love. From a performance standpoint the Mazda 3 has the power to put a smile on your face in a package that is put together in a driver friendly way. The first new feature I immediately noticed was the heads up display. This was my first driving experience using one and it was very useful. With a speedometer that kept track of the speed limit it helped me when driving on unfamiliar roads. Have to admit, I felt like Maverick from ”Top Gun” in the cockpit of an F-15. At least that’s what I imagined in my head. Also the cabin area has been designed to provide comfort not usually seen in a compact car. The seats in the Mazda 3 were reminiscent of the kind of seat you’d expect in a pricier sport car, but with a comfort level you’d expect from a luxury car. The Mazda 3’s gorgeous interior design is enhanced by the leather wrapped steering wheel and shifter. The steering wheel creates a level of comfort while driving that is solid enough to handle the rigors of an aggressive drive down a twisty road. With everything that you need at your fingertips, the steering wheel also acts as the center of control for your multimedia needs. The ability to have both steering wheel and console control gives you options depending on your driving style. This is this kind of forethought from Mazda engineers that puts them at the top of design for everyday drivers. The 2017 Mazda3 i Grand Touring packs enough punch to appeal to the performance crowd and has enough comfort to appease all that value a reliable and enjoyable car to drive. 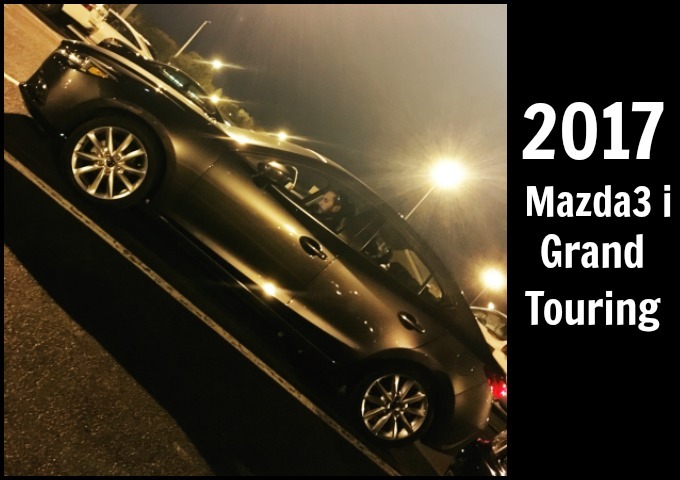 The 2017 Mazda3 i Grand Touring was perfect for our family of 3 but if you’re looking for something a little bit bigger, check out our friends at GUBlife – they got to test drive the 2017 Mazda CX-9!